There are a lot of "natural materials" to make a house, how can I use it? Just fifty years ago, when N's a childhood in every region of Japan, is not the material mostly material was not natural material? Compared with homogeneous industrial products, it is healed by the expressions and hands of wood grain, the texture of plaster and soil painted walls, I think that it is based on a feeling of security to the material bred from human history. 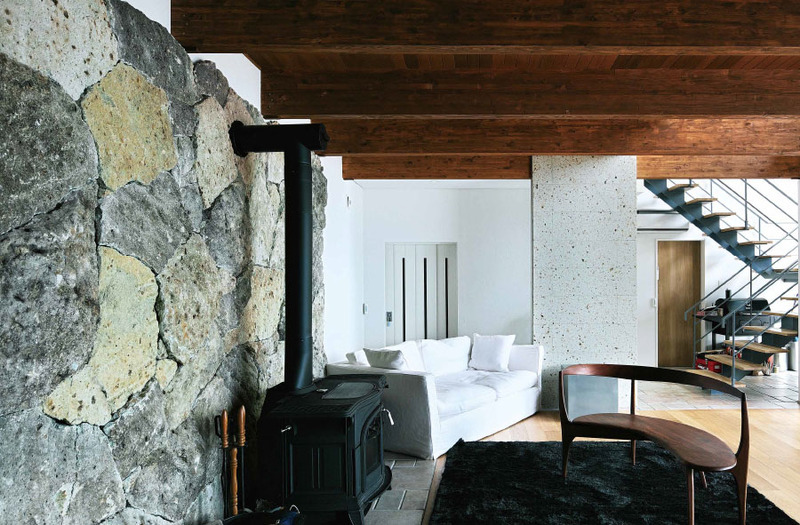 A good way to use natural materials is that the original texture is exerted only when the thickness and volume feeling are both wood and stone. Even thin washi paper can be pasted and pasted, so texture will be brought out as plain original paper. Another good way to use is to check whether material managers and craftsmen know the handling of each material, have the skill and method of keeping them properly and paying them. And, in order to start socializing with the house on the time axis of 100 years up to the age of grandchildren, know knowledge such as checking and repairing natural materials It is also necessary to have it.